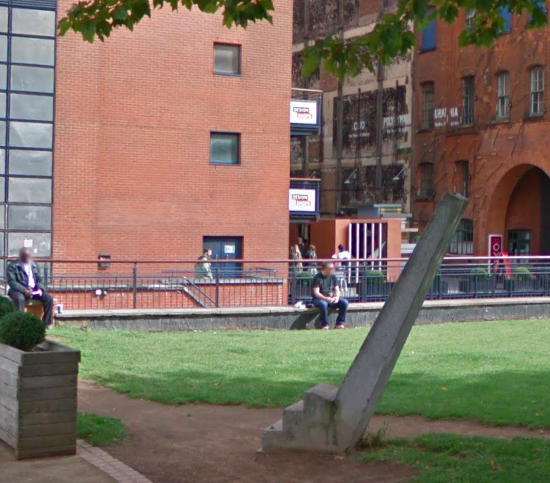 What's This Sloped Stone Pedestal Thing Near The Oxo Tower? M@ What's This Sloped Stone Pedestal Thing Near The Oxo Tower? 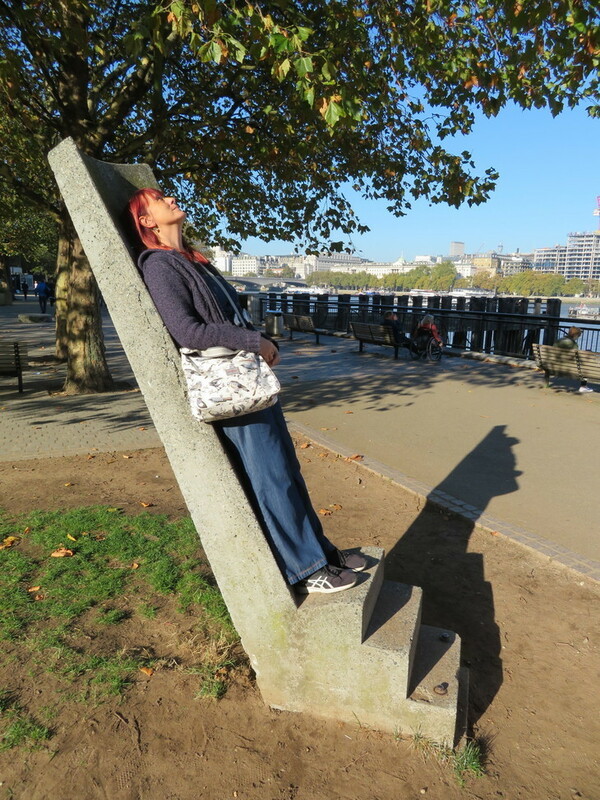 A strange thing happened on the South Bank recently. 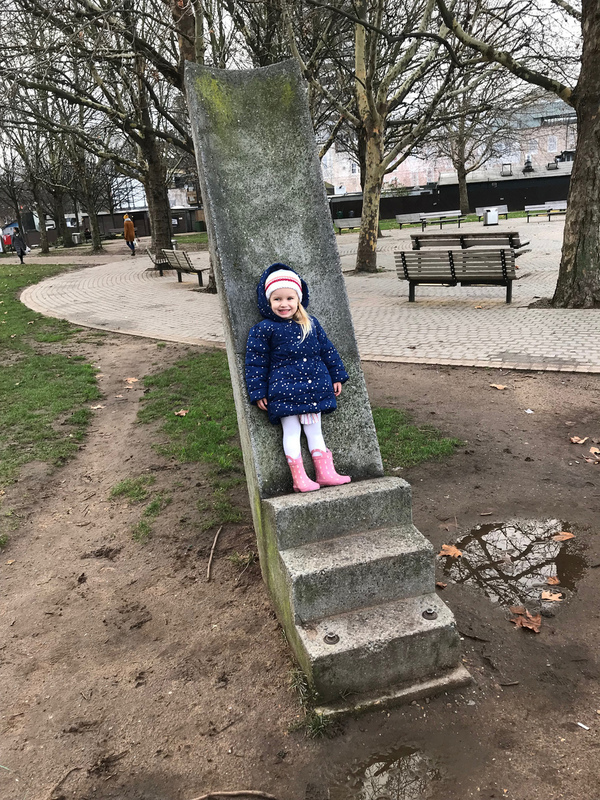 We were taking Little Londonist for a stroll along the river, when she spotted this peculiar stone structure rising Bernie Spain Gardens, beside the OXO Tower. Now, we've clocked the structure on many occasions. It's stood here for as long as we can remember. But we've never really considered what its purpose might be. Sometimes, it takes a child's curiosity to open an adult's eyes. Turns out that the sloping podium is a competition-winning viewing platform. Mount the steps, lean back into the curved back-rest, and you'll be facing straight towards St Paul's Cathedral. It's a contemplative perch. The reclined angle persuades you to focus on the cathedral dome and the skyline around it, rather than the hurly-burly of the South Bank. No further information is available online (you might be able to think of better search terms than 'slopey bench angle thing oxo tower'). We turned to Twitter and got a little more information. Apparently, the reclined plinth was the winner of a student design competition at some point around the turn of the century, and was installed soon after. Beyond that, we know nothing. We could, of course, contact Coin Street who look after the neighbourhood, but we thought it'd be more fun to open this up to readers as a 'notes and queries'. So, can you shed any light on the angled viewing plinth of Bernie Spain Gardens?